I’m writing this on my first day back from leave in the US and Canada. While we saw homeless people and other signs of the inequality that is part of the USA scene, we also were impressed by many individual and group actions to build strong local communities. “Wherever you are, there be people” one of my mentors used to say – and we were glad to see proof of it while we enjoyed time out with our whānau. I hope this Panui is useful for you. Don’t forget to sign up as a Formal Supporter of Hui E! – and kia kaha!!! Jo Goodhew, Minister for the Community and Voluntary Sector announcing a new Community Leadership Fund, May 3. Open Government Partnership – What’s our role as civil society? This Hui is open to everyone in the sector – a chance to share news, test ideas, and seek support. If you have an issue you want to raise, please let Peter know. The event will be held at Community Hub, Level 4, 120 Featherston Street from 10-12pm. New Zealand and the Open Government Partnership – what should you know, and why should you care? This event is jointly hosted by Hui E!, ComVoices and the Institute for Governance and Policy Studies Victoria University (IGPS). Dave Henderson from Hui E! is one of the civil society representatives on New Zealand’s Stakeholder Advisory Group. Shreya Basu, the Open Government Partnership’s Regional Civil Society Coordinator for Asia Pacific will be speaking on this new international initiative focused on improving government transparency, accountability and responsiveness to citizens. New Zealand joined OGP in 2014 with the State Services Commission assigned as the lead agency. Each OGP government partners with civil society to promote transparency, empower citizens, fight corruption, and harness new technologies to improve governance. Full details in the attached invite. 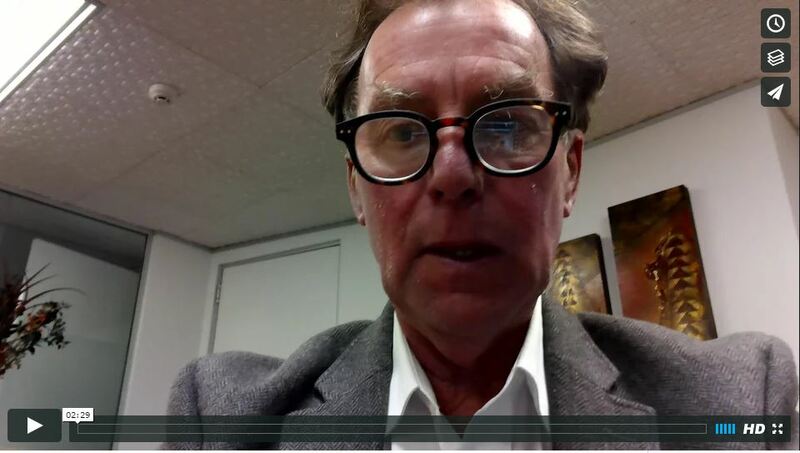 Alex Hannant, Social enterprise in Aotearoa – Where are we now and where are we going? Garth Nowland-Foreman, Outcomes, Accountability and NGOs: Holy Grail, Black Hole or Wholly Possible? The event will be held at Victoria University’s Railway West Wing Room 129 from 3-5pm. The Treasury invites you to attend a stakeholder workshop to gather a range of views on the issues and opportunities that are the most significant for New Zealand’s longer-term future, and the policy changes that will support the living standards we aspire to. There are two sessions: Key challenges and opportunities for New Zealand’s economy over the long-term and then smaller group sessions on specific topics including the Māori economy, productivity, environment, social inclusion, regional economy and the labour market. Find out more You need to RSVP to Judy Lu. Other workshops have happened nationally and a further workshop is being planned for South Auckland. The Aotearoa Community Development Association (ACDA) and the International Association for Community Development are pleased to announce this joint conference on sustainable communities with sub themes on community-led enterprise, disaster preparedness and response. The conference will feature peer reviewed papers, workshops, poster sessions, practice exchanges and pre-conference tours. A call for papers will be made in June. Hui E! together with MBIE and DIA Charities Services have completed a series of 25 consultative seminars. We really appreciated the valuable feedback we got from over 1,000 people who attended. Hui E! has produced a short summary of the sessions that you can share with committee members or other organisations. This 5-page version includes the key proposed changes and more detail on the questions Hui E! raised. Remember submissions close on 30 June 2016. Send your submission to societies@mbie.govt.nz. We strongly encourage you to provide input, even if you only comment on one or two points. If you want to discuss with Hui E! email Dave. This amendment would mean that charities are only able to appeal decisions of the Charities Registration Board. In other words, any decision made by the charities regulator, other than a registration decision, would not be able to be appealed. Hui E! joins Multicultural NZ as the national sponsor of the series of three summits. In each centre we are partnering with local groups – in Auckland with AUT, Migrant Action Trust, Pacific Media Centre and Auckland Council Ethnic People’s Advisory Panel, in Wellington with ChangeMakers Refugee Forum, English Language Partners, WCC Multicultural Council and Victoria University and in Christchurch with Network Waitangi Otautahi, Christchurch Youth Council, English Language Partners, Christchurch Multicultural Council and Christchurch City Council. The aim of these summits is for communities to engage meaningfully with each other and to inform one another of the work that they do, their cultural backgrounds, the perceptions we have of each other and how we can interact together for a greater understanding and appreciation of each other. Read some of the media from the Auckland Summit on Asia Pacific Report here and here and on NewstalkZB and check out the Wellington programme held on 28 May 2016. Dates for the Christchurch Summit are still to be set. 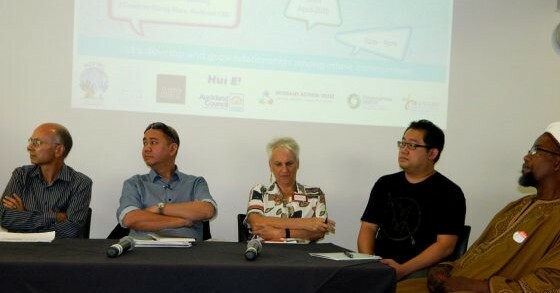 Photo is of the media panel: Simon Collins, Lincoln Tan, Jenny Rankine, Yee Yang “Square” Lee and Dr Mustafa Farouk. Image Del Abcede/PMC. This year Youth Week celebrated Aroha Mai, Aroha Atu – Giving Back is Giving Forward. Check out some of the highlights here and the new series Ara Taiohi has launched to share great youth development practice. The success of the Sustainable Development Goals (SDGs) in changing the world we live in for community and civil society organisations in 90 developing countries across the globe depends very much on how developed countries like New Zealand engage in the goals for Agenda 2030.
a) What is the most effective leadership structure for national platforms? b) How can platforms maximise their contribution to integration across the SDGs (within a country’s national development plan)? c) How can platforms ensure that they deliver for the most vulnerable in-country? d) How can overlaps and duplication of new platforms at the national level be avoided? The paper concludes with a call for more ‘champions’ – from government, civil society and business – who can help drive forward this new vision. This is an issue NZ is struggling with now – check it out. Want to get involved with bringing the SDGs home to New Zealand? Hui E! and Volunteering NZ are convening a meeting of New Zealand agencies who have shown an interest in bringing the SDGs home to New Zealand. There is growing interest in the SDGs – which have a 15 year life – we want to support civil society initiatives to make the SDGs more widely known, and to press for a more ambitious response to them by our government. The meeting will be held on Wednesday 15 June at the Community Hub, Level 4, 120 Featherston St Wellington from 9.30am to 12pm. The UK Cabinet Office, a powerful component in the UK government system, have announced that they are pausing the implementation of the anti-advocacy clause. “We are continuing to consider the comments of all interested parties, ahead of the introduction into grant agreements of the clause,” the Cabinet Office said. Bond and other charity bodies strongly criticised the government’s announcement of the insertion of the anti-advocacy clause into grant agreements, arguing that charities have a vital role to play in campaigning for the most vulnerable and disadvantaged. They reasoned that, as the organisations working on the front lines, charities are often best placed to know what policy changes are needed, and draw governments’ attention to failures and areas for improvement. There is currently no indication of what consultation with affected parties will consist of, or how long the pause will last. “We are seeking more clarity for Bond members who have already signed contracts containing the clause,” said Tom Baker, Head of Campaigns at Bond, the UK civil society network for global change, bringing people together to make the international development community more effective. Welcome to Josie Pagani, who is the new Executive Director of CID – the Council for International Development. Josie follows a nearly 7 year term by Wren Green. Thank you to Erin Brown who has helped compile this panui and welcome to Kirsten Le Harivel who is picking up that role.